The environment The word “friendly” was used forty-one times in describing the WRAC. Member comments included, “fun to go to, family friendly, welcoming, low key, uncrowded, unpretentious, somewhat quiet, and a casual gym experience”. The WRAC was referred to as a wonderful community to be a part of, and a great place to exercise and make new friends. Some expressed appreciation for the social aspects, the opportunities to interact with members and connect with like-minded people, people who appreciate fitness. One member stated, “Before joining, I tried a couple of other fitness establishments but they were cold and uninviting. I did not have that feeling here…I felt at home.” Another compared the WRAC to other facilities by simply stating, “It’s a club not a gym”. The facilities Many members expressed appreciation for the quality of the various facilities, and the large number and variety of fitness options for all ages, fitness levels and interests. 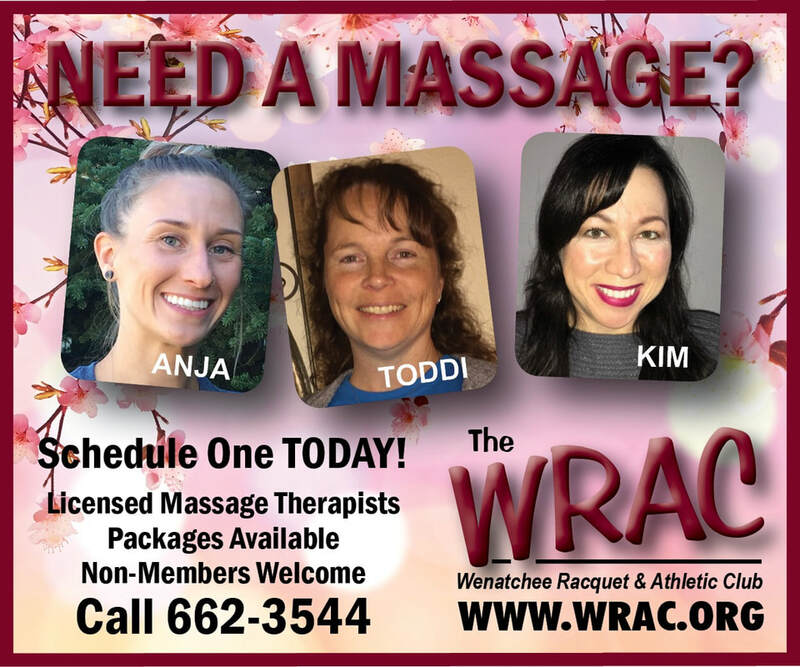 One noted that the WRAC offers so much more than the usual weight training and exercise machines that other facilities provide. Others praised the organized competition, wide selection and varied challenges of fitness classes, remodeled fitness center, availability of childcare, overall cleanliness of the facility, accommodating hours of operation, and easy access to the hiking trails. 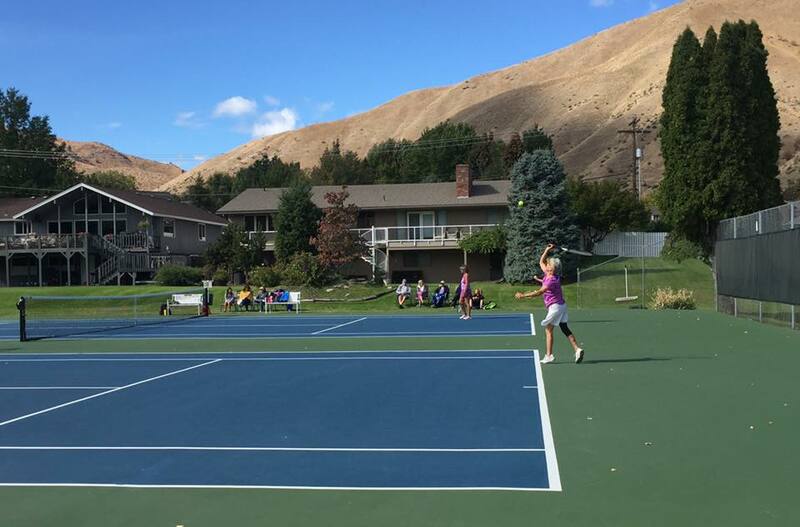 A tennis player noted that the combination of quality and availability of courts, scheduling options, professional staff, and cost to play tennis, probably doesn’t get much better. The staff The staff was complimented by several members noting that they make you feel welcome, are responsive to member requests and willing to help, and communicate well with the members. The instruction leaders were described as inspiring, cheerful, helpful and knowledgeable. One referred to the yoga teachers as the best in the valley. There were also some non-positive, but mostly constructive, comments expressed. These included concerns about accommodating pickleball, tennis court lighting and heating/air conditioning, the need for more things for children to do, and the cost of membership; although the cost was appreciated by some with such comments as, “the best value around for about $2 per day (fitness), and “they’re not trying to nickel and dime you with add-on expenses”. Having been a Board member for over six years, I have grown to appreciate how challenging it is to run a multifaceted recreational facility in a rural area, while keeping it updated and staying in the black. Our very lean staff works hard to provide our members with a rewarding exercise experience in a pleasant environment. The survey results demonstrate that you appreciate the efforts being made, and for that we are grateful. How long have you been a WRAC member? I started in April of 2017, right after moving back to Wenatchee. What was your main reason for joining the club? I needed to find a gym and I knew a couple of people who worked at The WRAC. Plus my dad is a member and its only a few minutes from my house and on my way to work. What is your favorite part of the facility to utilize? The free weights/lifting area. Although I enjoy cycling class with Tony and A.J..
How long ago did you begin your fitness journey & what is your main goal? I played sports in high school and have been interested in fitness all of my life - I even job shadowed a personal trainer at The WRAC my senior year. But I really committed to changing my lifestyle on New Years Day this year. I looked in the mirror and didn't like what I saw. So I committed myself to changing what I ate & consistently going to workout. My main goal was to get to 193 lbs, which was my high school wight. What has been the hardest part of your journey? Most rewarding? The hardest part has been changing my eating habits. I was an athlete in high school and was able to eat whatever and my eating habits never changed, so it took me awhile to adjust to not eating fast food and cutting out the junk food. The most rewarding part has probably been needing to buy new work and workout clothes. The old stuff doesn't fit! Describe how you feel (overall) NOW compared to how you felt when you first started on your fitness journey. Faster, lighter. Its difficult to describe beyond just saying, better. But I do feel a lot better...I am proud of what I have accomplished thus far, but I am not done yet. Is it a cop out to say both? I enjoy lifting but its hard to beat going on a run and watching the sunset. Leg day or Arm day? LEG DAY!! I really enjoy lifting heavy things so squats and dead-lifts appeal to me. Outside of working out at The WRAC, what do you enjoy doing for fun? Well I am an Assistant Golf Professional so I enjoy golfing, but my favorite activity has to be basketball. SERVE BETTER NOW - 5 Easy Ways to Improve the game’s most important shot. CAUTION: Highly Classified Information below! BEWARE! Your opponents will want you drug-tested because you’re about to play so well if you follow some friendly advice. Have I got your attention? Good. Often, at any level, the serve can be your biggest weapon or your biggest weakness. Go back a few years to when Djokovic would make consistent QF/SF rounds but double faulted too often to begin his championship-winning streak. To understand the importance of the service, you only have to go back a month to Kevin Anderson vs Rodger Federer at Wimbledon in the fifth set. Anderson's serve was unbreakable and won him the match. Even though most of us aren’t 6’8” Goliaths serving down 130 mph rockets on a grass court (which only speeds up the ball), we can all learn some valuable insights to help us hold serve more consistently and help ourselves maintain control of the point. Furthermore, Lleyton Hewitt is a famous example the year after he’d won Wimbledon. The Old England Club schedules the previous year’s tournament winner to “open” the tournament with his match. This year, however, Hewitt – an absolute beast on grass himself – drew one of the nastiest guys to play, Croatian; Ivo Karlovic. Karlovic isn’t really considered one of the greats for tour-level play in general but possesses a height of 6’11” and held the record for the fastest serve at 156 mph. 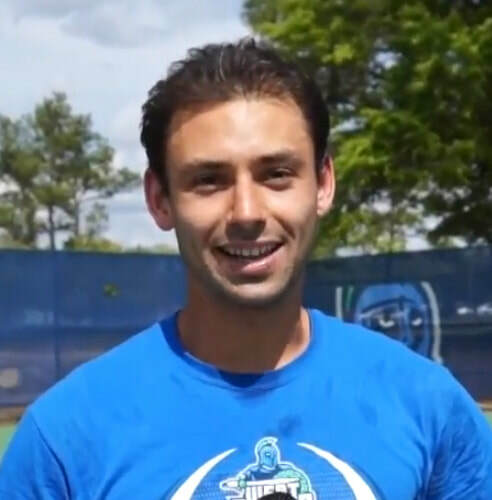 Over his career Karlovic hit 12,936 aces! Only one of four players to ever surpass 10,000 aces in a tennis career. As you guessed, Hewitt lost. The serve is a great weapon that allows a player to gain “free” points or gives them an easy ball to put away or control a point. Finally, Roger himself can bomb a 143 mph serve (that’s his fastest recorded) but does he? Not always. One of the most underrated servers; Federer uses his serve to keep his opponent guessing and help set up to control a point. A good server is not predictable – they mix up their service with slice, topspin (or ‘kick’), speed and placement. Maintaining “control” of a point should be your goal at any level. If you’re only just learning to play and consistency is an issue, focus on simply making more balls in the court and let them “beat” you… aka hit winners. Tennis is hard enough, do your best to make your opponent earn the points and not beat yourself J. If you’re more advanced, the idea becomes making your opponent uncomfortable running to balls or getting them off balance so they cannot hurt you with a faster and heavier ball. If you control the point, you hurt them. If you like running, hit them a pancake serve and enjoy your day at the marathon. All this control starts with the serve. You could argue Andre Agassi never had an amazing serve but focused all his efforts onto his returns to help himself get into the point straight away. This is the same idea: Control the point. Agassi is arguably in the conversation for one of the best returns to ever play the game of tennis, so begin your journey on building the point hitting that fast serve where you control the whole shot – don’t play reactive tennis trying to hit that fast serve back to get in control… it’s a lot harder. Okay, I have to make a point of highlighting the importance of the service because it’s what will dictate the rest of your play and oftentimes the match… and what I’m about to suggest to improving your own serve is rather tedious, boring, but necessary – and yes, I’ve done them all a zillion times, as has anyone who ever had a consistent - aka good - serve. 1. Line up your racket with the handle lying on the baseline so the strings are on the ground, inside the court. The racket serves as a reference to where/how far you want to toss the ball. You can do this drill at home or wherever you like, just take the example correctly from the court to wherever you want to practice. 2. When we serve, we line ourselves up side-on to the net. Don’t get caught standing front-on to your racket here because it’s more “comfortable.” If you’re right-handed, you will stand behind the baseline with your left foot forward and the racket slightly to your right. If you’re lefty, the opposite applies. How you position yourself relative to your racket is very important. Don’t practice the wrong movement patterns just because you lined yourself up front-on or too far away from your racket. In general aim to have about 1-2 inches between your front toe and racket handle. 3. When you toss, you want to toss up at least as high as you can reach with your racket. Any lower and you’ll be losing your height advantage to hit a harder, more consistent serve over the net. You want to be comfortable holding the ball in your fingers, more than in the palm of your hand where the ball tends to roll out of your hand rather than be “placed” up there. Open your fingers like a flower in the morning when you toss to eliminate any spin on the ball and be more consistent with your toss. One tip that always helps my students – and what helps make your serve look graceful – is to relax your tossing arm, and begin the toss at your front thigh (or pocket). This starting point helps reduce the need for any jerky acceleration in the toss and thus creates a more consistent toss. Bonus round: Finally, shout out to Ben Borden, a student of mine who was trying so hard to learn a kick serve with no success. I told him to go hit 40 serves in but serving on his knees. A day later, he shows me a genuinely good bouncing-off-to-the-side kick serve! You might want to try it with your knees on a towel or something soft, but serving on your knees will do wonders for your serve action, ball toss, and balance in helping your serve because you can’t compensate with your body, the toss must be good or your result suffers. Jennifer Capriati’s father used to make her toss the ball onto her racket 50 times every time she practiced her serve when she was a developing player. The rest is history. Build your serve, build confidence in setting up points, build your record and build your legacy one toss at a time. Kay Dougan (better known around the club as Ms Kay), is one of our terrific Kids Club Providers! She has been apart of the WRAC team since August of 2015. Ms Kay has spent the last 3 years looking after, caring for & teaching our kids club kiddos with unconditional love and patience! What drove you to apply for your position working here in the Kids Club? I retired after 38 years of teaching but wanted something part-time working with children! What are 3 words you would use to describe your job? What is your favorite part, or what do you enjoy most, about working at The WRAC? The children, their families & the people I work with - they are incredibly nice with a 'Can Do' Spirit! What are 3 words you would use to describe yourself to someone? Outside of work, what do you enjoy doing for fun? Visiting & caring for elderly & my grand-kids, anything with my 3 dogs, going to Renaissance Fairs & playing around with new recipes! If you could travel to anywhere in the world for an extended vacation. where would you go and why? Israel...because I've never been! I'd enjoy seeing all of the Ancient Biblical sites, the culture & the food! ...those annoying things that keep you from doing what you want! I thought it fitting this month that I write on the topic of staying healthy. I recently suffered a broken bone from a snowboarding accident... before I go any further, I want to say a big thank you to all the WRAC members who showed their support and love over this recent time…you guys are truly amazing and I’m glad that in just the few months I’ve arrived in Wenatchee that it could feel like a second (or third?) home! Some solace I take away from being injured on the snow is the fact that it did not occur on the tennis court (my other home!). While I might need to work on my snowboarding accuracy through the trees, I have been relatively injury free for someone having played tennis for 24 years and having attained a professional level. Now, the more we train for whatever sport or event, the more our bodies become tired and develop asymmetry. Your body is forced to compensate in other areas when you complete repetitive movements. This compensation is the “wow” moment if you have ever visited an osteopath – or taken a massage at our club – and find that the source of our pain or injury stemmed from something anatomically distant from that pain! So what can we do to prevent muscle imbalances, keep good posture, and keep building on our goals? ​ Well, the secret lies in a good training program. For a tennis player, they are right or left side dominant depending on their play. Even a more evenly balanced movement like a squat in weightlifting shows that our bodies can favor one side. This favoring is particularly true with respect to prior injuries as many athletes look to avoid the weaker side and thus can create more problems in the long run of their training stemming from these imbalances. 1. Warm up. Often the most overlooked element of any training program by most novice athletes. During a warm up, your muscles are not ready to rapidly move and extend to their maximum so easing your body into your training is a huge advantage for those who can be patient for 5-20 minutes – yes they can go for that long! Note: A warm down is a great idea also post-training. Tip: Before training, do dynamic stretching – this means movement. Move your body with light jogging, twisting, extending movements that are not a static stretch and hold. These stretch and hold movements should be utilized at the END of your workout. 2. Ice is your friend. If your shoulder hurts from repetitive movement like serving in tennis, ice will help reduce the inflammation in your muscles and decrease pain. If you can’t bare the pain, get a lesson from me and I’ll fix your technique! …if you can’t take off a few weeks/months to fully recover from overuse, ice will really help that dull aching pain and keep you in the game. 3. Get mobile! Training for a wide range of motion and testing for muscle constraints helps your body stay in good form. You can simply add some slow strength and flexibility exercises to your program and see yourself be able to continue your hard work despite maybe not “feeling” better, you’ll see how you can stay injury free. A basic example would be don’t only train your chest… train your back evenly as well. 4. Massage. If any of you have been fortunate enough to experience sports massage, you already know the benefits the sometimes painful (but good!) experience brings. When you train, your muscles tighten up and tangle into knots. This tightness is the body way of telling you you’re doing too much and it wants a break. Athletes often use massage to help those muscles relax and release tension as to function more evenly or as desired by the body. Overall, if you put in the work to stay healthy you only allow yourself the best chance to stay in the game! We can’t avoid some injuries but we can control our preparedness. Good luck and stay healthy! The article below is from Balanced Habits nutrition program "Seven ways you can reduce your daily sugar consumption starting today" is a quick summary of ways to cut down sugar that we may not be aware of in our daily consumption of food. It's a good start to lowering your overall intake along with other healthy habits. Enjoy! 5. Cut down on processed food - A Time Magazine story from May 2015, talks about a study that for the purpose of their analysis separated processed foods into four categories: Minimally processed  Basic processed  Moderately processed  Highly processed While we love processed foods for their convenience, they are also known to be high in sugar. The takeaway here is that the less food you eat that has a nutrition label attached to it, the better it is for you and your family's health. The rule of clean eating? It sounds a bit silly, I know, but there is method to the madness. Breathing is one of the most important elements for any sports person or fitness fanatic but is often overlooked in training. I know most of you here at the WRAC, working with me out on court, have not heard me speak at length about breathing; however, that does not make it any less important. So how does good breathing technique actually help improve performance? Well, simply put, it helps you stay in the game. Our lungs are amazing tools which help us absorb much-needed oxygen into our bloodstream. A trained athlete will have a higher oxygen-extraction capacity compared to an untrained one. This mechanism improves over time with aerobic training like tennis or a HIIT class (hint!). Once we are able to extract more oxygen into the blood, we will then be able to use that increased supply to reduce lactate accumulation which is linked to fatigue. Enough about the mechanisms though, what do I actually do to help myself perform better? 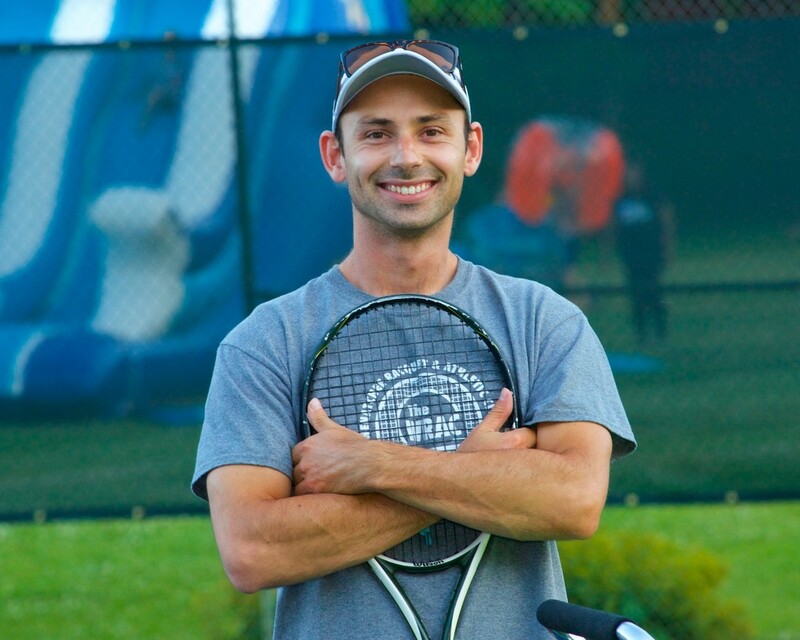 Well, being the Tennis Pro here, I’ll start with tennis… When watching pro tennis, you might notice players like Simona Halep or Novak Djokovic taking in a big “relaxation” or “preparation” breath before they serve. This is a technique to help lower your blood pressure and heart rate somewhat so our mind can be a fraction clearer which allows our bodies to perform better. They are preparing and resetting themselves for a new point and clear head space to meet their goals for that point. In through the nose, breathing from the diaphragm – allowing your abdominals to rise and fall rather than your chest! – and out through the mouth. Hint: If you breathe out harder than you breathe in a few deep breaths, you will find you are able to expel the stale air to allow for more oxygen flow into the blood. Thus, improving your mental awareness and performance because when we get tired or out of breath, our technique breaks down! Finally, what about during a point? Well, this one is a bit more complicated to practice, but is extremely beneficial if done correctly. Some tennis players are famous for making noise or grunting when hitting the ball. This is them breathing. When you hit the ball, release the extreme tension from your body as you make contact and exhale. I personally find a rhythm in inhaling before my opponent hits their shot, then I actually exhale right as they hit (in singles) so I know I have just enough time to inhale before my next shot when I exhale again. Try it. It will work for you once you get the hang of it, I promise. Many players play “tight” and hold their breath, therefore tiring quickly and suffering during longer points. In general exercise off the tennis court, breathing is just as important. Whether you’re a rower, a runner, a shot-putter, whatever, breathing is key for success. As a runner, I was taught by my dad – who ran cross country – to breathe “In on the left (two steps), out on the left (another two steps) and so on” when running at a decent pace. There are different patterns, but experiment with what works best for you. You will find yourself able to push that little bit more and reap a benefit in improved results! Breathing through the nose primarily helps temperature regulation when inhaling air and can sometimes help to eliminate a stitch or pain in your side when exercising. Breathe through it if you can, and it will slowly diminish; if not, a little rest will do the trick too. Swimming is an exception to this rule - when possible, try to breathe through the nose and out the mouth. Finally, I see a lot of people in the gym here at the WRAC, but I don’t notice too many people breathing through their repetitions. One of my personal goals is to get super-fit again this summer (once snowboard seasons is over!) and lifting heavy is a priority for me. Once you feel comfortable going heavier or more intensely (both with or without oxygen system usage) your breathing helps regulate blood pressure, taking pressure off our precious arteries. The two things I want you to take away from breathing during lifting are simply breathe out on the concentric (hard part) muscle movement, and breathe in during the eccentric phase (easy part) of a movement. For a bodyweight squat, for example, you would breathe in as you go down and breathe out as you come up at a comfortable pace. The same idea goes for bench press: In on ‘down’ (eccentric movement – muscle that is being worked lengthening), out on ‘up’ (concentric – muscle resisting the weight is shortening). The second thing is called the “Valsalva” maneuver,which simply means “holding one’s breath.” This is where a power lifter holds their breath when going very heavy on a weighted repetition during a motion to improve chest and core stability, and this is okay. For most lifters who are not powerlifters – almost all of us reading this article - Keep breathing. ☺ See you on the court, in the gym, around the club, or up the mountain.